Evelyn Wisely has a heart for the orphans of Teaville and works at a local mansion that rescues children out of the town's red-light district and gives them a place to live. But her desire to help isn't limited to orphans. The owner of the mansion, Nicholas Lowe, is willing to help her try to get the women working in prostitution out of the district as well--if she can gain the cooperation and support of local businessmen to go against the rest of the community. I appreciated the focus of this book on the importance of not only helping orphans, but also their mothers escape lives of prostitution and poverty. Evelyn is single-minded in her mission to provide safety and security for those who will reach out and accept support, even sacrificing her reputation and hopes for a future family. For much of the book I didn't understand her hang-ups about men and her fear of romance, but eventually the secret is revealed. 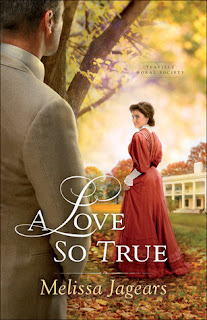 David admires her in spite of her brusque attitude toward him, and his cheerfulness and sincerity build the foundation of their developing friendship. Lydia and Nicholas from the previous book are close friends of Evelyn's and help her when they can, despite not understanding her reasons for shunning men. They fully appreciate her help running their orphanage and her goal of starting a women's home. Various mishaps happen throughout the story that give David and Evelyn opportunities to grow closer together, and through the ultimate test they face, they learn to trust in God's timing and plans, even when it's difficult. Don't miss the other books in the Teaville Moral Society series! 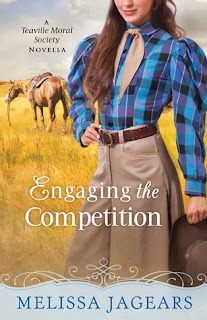 Ever since Charlotte Andrews bested four-eyed Harrison Gray in a shooting competition when they were teenagers, he decided a tough, show-off girl like Charlie didn't need him to look after her. Now a teacher at the local school, Harrison learns Charlie intends to marry a neighbor who comes from a long line of no-good troublemakers and, for some inexplicable reason, it falls to him to talk some sense into her...if she has any under that tomboy exterior. Their heated confrontation unfortunately takes place right as a bad storm is coming on and, in the melee of arguing and taking shelter, Harrison's glasses are knocked off his face and broken when Charlie's horse crushes them under a hoof. Harrison and Charlie may have their differences, but she can see from his panic that the loss of his glasses is a blow to him. She volunteers to help him at school until his new pair of special order glasses arrive despite knowing the one place she can't best Harrison is in the classroom. I didn't get any reading done on Saturday, but I did get the review written for A Heart Most Certain, did some sewing at my grandma's house, helped my daughter pick out a birthday gift for her friend, photographed a family, and edited images from another photo session. 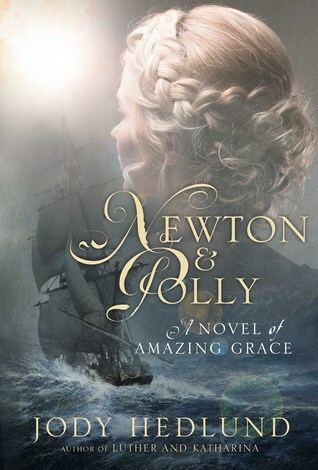 I plan to start Newton and Polly bright and early Sunday morning in my comfy bed before my girls wake up! 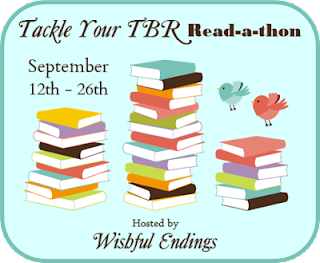 Join the Read-a-thon! It's not too late! I finished A Heart Most Certain late last night so I still need to write my review, which I plan to do before starting the next book on my list, Newton and Polly by Jody Hedlund. 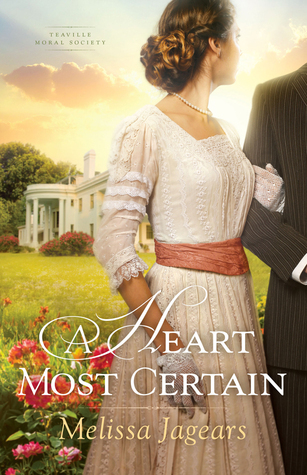 I got 184 pages into A Heart Most Certain by Melissa Jagears. Was hoping to get more read but I dislocated my shoulder for the third time, just by folding laundry! Now I have a great excuse when I don't feel like doing that chore ;) I miraculously was able to maneuver it back in place without going to the hospital, although it really freaked me out! 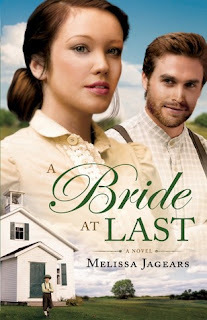 Review: A Bride at Last by Melissa Jagears and a $100 Memory-Making Giveaway! Kate and Silas are both strong, admirable characters, but have realistic flaws that show how they struggle with their past and the effect it has on their present and future. The chemistry is definitely there (my favorite parts! ), they just have to overcome major trust issues and learn to discern and rely on God's will. Anthony is also a realistic portrayal of a young boy caught in the middle of two futures he wants nothing to do with. He is sweet and playful one moment, scared and taciturn the next. 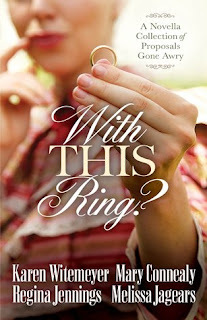 Much of the story involves Kate and Silas frantically searching for Anthony since his M.O. is to run away, which created a sense of urgency to the pacing of the novel. There are appearances of characters from the earlier books in the series which was fun, but A Bride at Last can definitely be read as a stand alone.